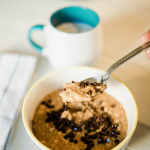 There is nothing better than an ooey gooey delicious no bake cookie, except maybe this chocolate no bake cookie protein shake -all the goodness minus the guilt! Every so often, I get a hankering for an ooey gooey melty and delicious No Bake Cookie, you know the kind that you make on the stovetop with butter, oatmeal, chocolate and the magic ingredient of peanut butter. 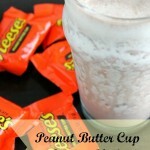 Because let’s face it Peanut Butter makes everything better!! What is so dangerous about no bake cookies is that they are crazy simple to make… Usually when I crave something sometimes the sheer effort and time it takes to make the treat is turn off enough… 😛 But not these magical gems, you can whip them up in no time flat. The most obnoxious part is waiting for them to “set up” but truth be told, that has not stopped me before. 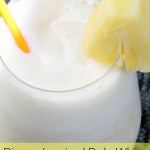 So when temptation strikes and I find myself rummaging the cabinets for the necessary ingredients – I stop take a deep breath and make this heavenly shake instead! It legit is so rich and creamy you’ll think you’re splurging! 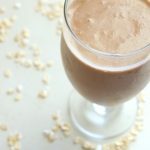 And as an added benefit, if you thought no-bake cookies, were a breeze – This No Bake Cookie Protein Shake is even easier and way fewer calories – plus you can EAT the entire blender jar full and you’re only out 327 Calories! That my friend is winning!! 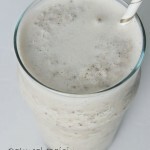 Throw items in the blender and BLEND! See I told you it was a total cinch to throw together – and you will want to lick the blender for sure, just to ensure you get out every last tantilizing drop of rich no-bake flavored goodness! Side note I have been on a soy protein kick as of lately and have been trying to incorporate more and more plant based sources of protein into my diet, so feel free to substitute your favorite chocolate protein powder! 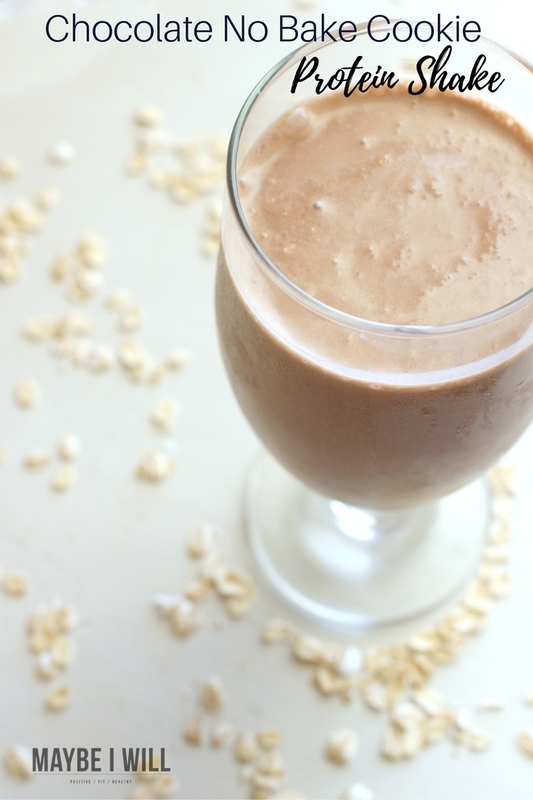 Want more chocolate protein shake goodness?? 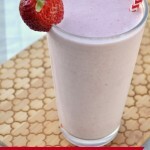 « 7 Quick and Easy Tips For Healthy Living On the Go! 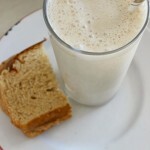 I think I will try using PB2 (powered peanut butter) instead of peanut butter to cut down on the fat grams. Have you tried it with PB2 by chance? How much oats? It says 1/4, but not sure if its a teaspoon, tablespoon, or cup.